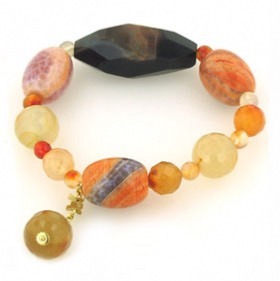 Agate bracelet with gold plated sterling silver. 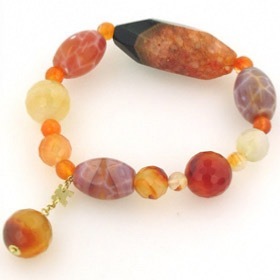 Created with gloriously coloured, faceted gemstones into a fabulous wearable design this agate bead bracelet has colour, texture and great style. 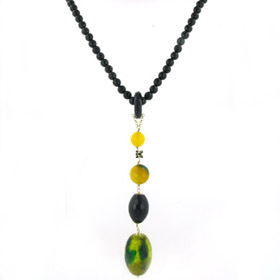 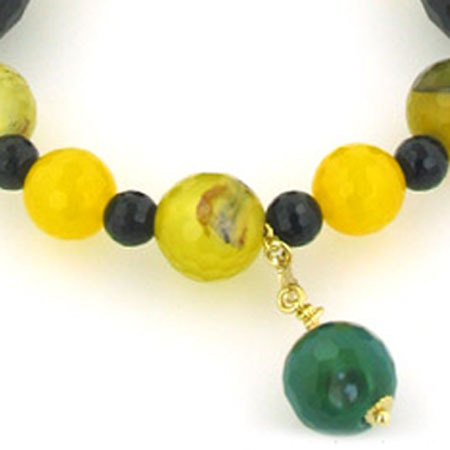 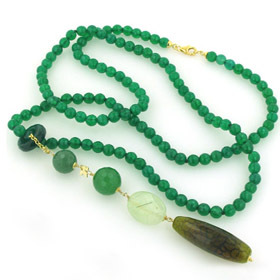 The combination of green agate, yellow agate and black onyx faceted and polished gemstones creates an artistic combination of bold colours. 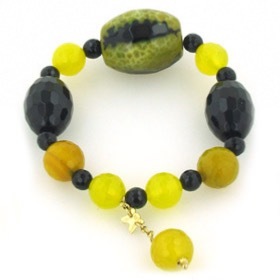 For ease of fit and wear, the bracelet is elasticated with strong jewellers elastic. 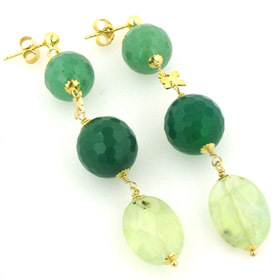 Team up with other coordinating pieces - see below. 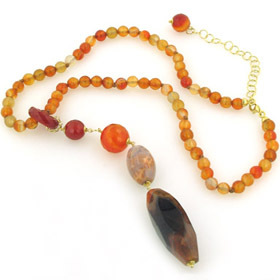 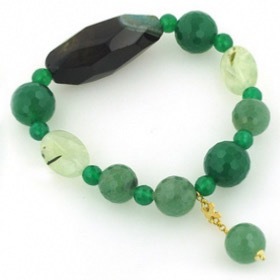 Steal the show wearing this exquisite gemstone bracelet. 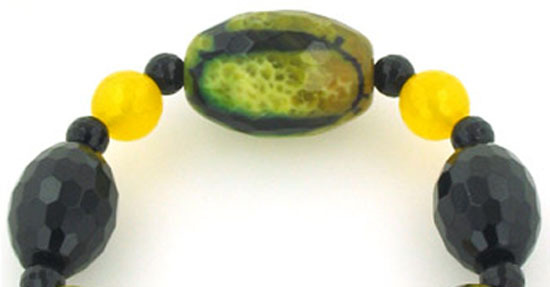 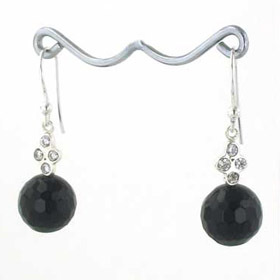 This bracelet is elasticated and will fit most wrist sizes. 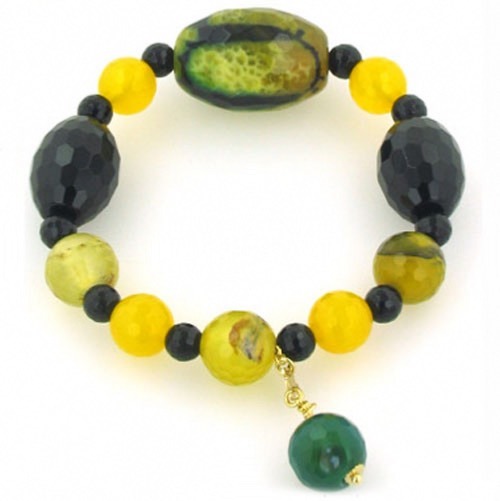 This black onyx and agate bracelet is made in Italy by Rajola and gift wrapped in beautiful packaging.